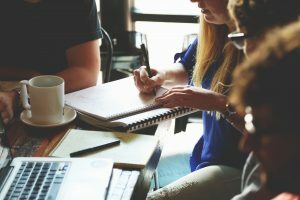 Wish » Private: Blog » Women's Mental Health Network » What key issues did our focus groups identify? There are very few women in prison who pose any risk to society. The majority of female prisoners are victims of serious trauma. These women should not be locked up in facilities designed to silence and disempower them; they should be supported and rehabilitated in a system that responds to women’s specific needs. Cuts to psychiatric services mean that police officers increasingly end up dealing with mental health crises. This tends to involve unnecessary physical restraint, which is particularly traumatic for vulnerable women for whom it is likely to trigger flashbacks of past abuse. Hospitals should be places of safety and support for anyone in distress, but women often feel unsafe, ignored and judged on mental health wards and when waiting in A&E. Domestic violence affects an enormous number of women, yet many victims feel that services and professionals don’t take it seriously. Reporting domestic violence is extremely difficult and often dangerous; not taking a woman’s story seriously could put her life at risk. Women with PTSD and complex needs are being failed by the current psychiatric system, which focuses on ascribing labels and prescribing medication rather than giving women therapy that would take their life experience and past trauma into account. There are not enough safe women’s only housing options, which means that victims of domestic violence struggle to find a home where they feel secure and are not afraid. The social services needlessly remove children from their mothers every day. They often take a pessimistic approach to mental health conditions, disregarding the possibility of recovery, and underestimating the lifelong harm of separating a child and a mother. It is very difficult for anyone to access any form of talking therapy through the NHS at the moment. It is particularly difficult for women to access gender-specific, women-only services where they feel safe, comfortable, and able to talk openly about their experiences. Across the system staff lack understanding of and respect for women’s distress. Women feel that they are not listened to, not treated equally to men, and sometimes not even treated as people. In prisons and hospitals male staff can be thuggish, intimidating and inappropriate towards women. This is entirely unacceptable and totally undermines women’s chances of rehabilitation and recovery. Next, we will invite 5000 women to choose the top 3 issues from these 10, and the 3 that they choose will be the first things that we campaign to change. Over the next few months, we will be using this blog to keep you updated on the WMHN so please follow, share and support our progress.